The Husband and I decided to take a little road trip, with our final destination being Asheville, NC. We both really hate driving, especially in Florida, so we thought driving from Tampa to Savannah was far enough to start. 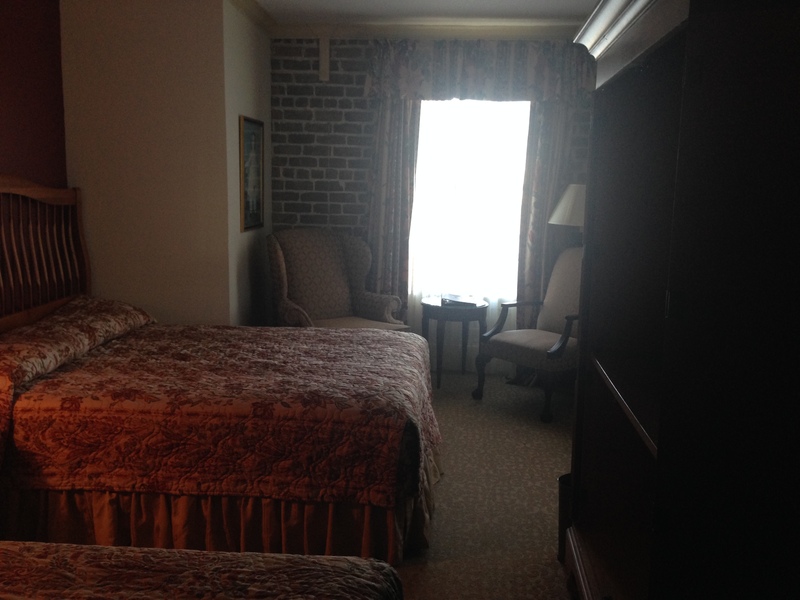 We had been to Savannah before and had stayed at the charming bed and breakfast The Gastonian. It was quaint and charming and all the things a bed and breakfast should be. But that wasn’t what we were going for. We wanted to stay somewhere in the middle of the action, since we were only staying for one night on our way to Asheville. 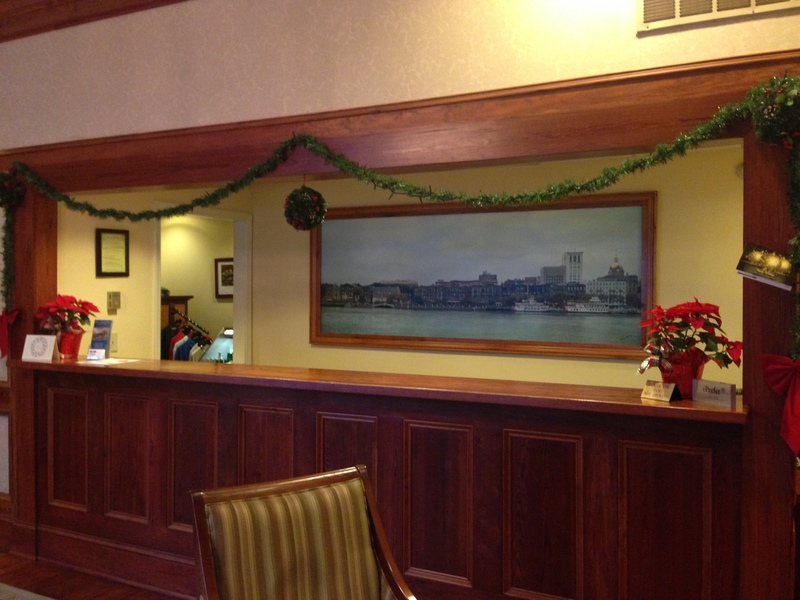 We decided stay at the River Street Inn. It was a decent price, especially for such a last minute decision. The location was perfect, right on River Street with a view of the water and in the middle of all the bars, restaurants, and shopping. Getting to the hotel is a little tricky at first. There is a loading and unloading area in front of the hotel and that’s it. No valet, no self parking. There really aren’t that many spaces either, and it seemed like people were parked there longer than just checking in and out. Eventually we did find a place to pull up and unload our luggage. There is public parking right across the street and it was only $10 a day. Cheaper than most hotel parking, so it wasn’t a big deal at all. The lobby looked the way I would expect a hotel to look in that area of Savannah. It looked historic and pretty, and the check in process was a breeze. 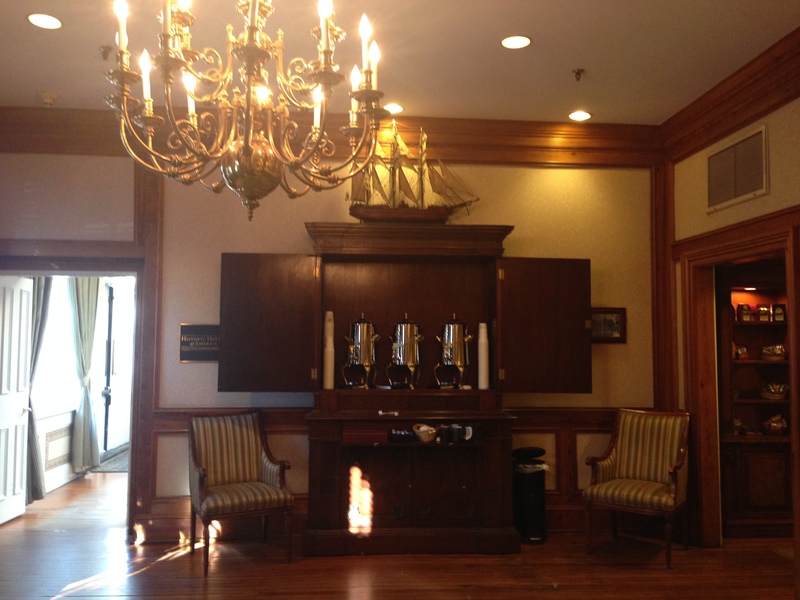 A lovely coffee and tea bar in the lobby. 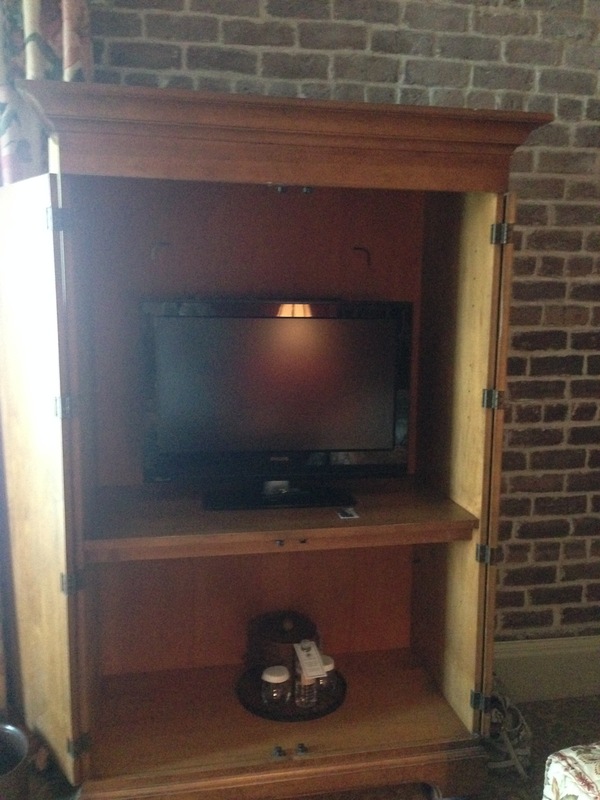 We headed to our room, which was a little confusing to find. 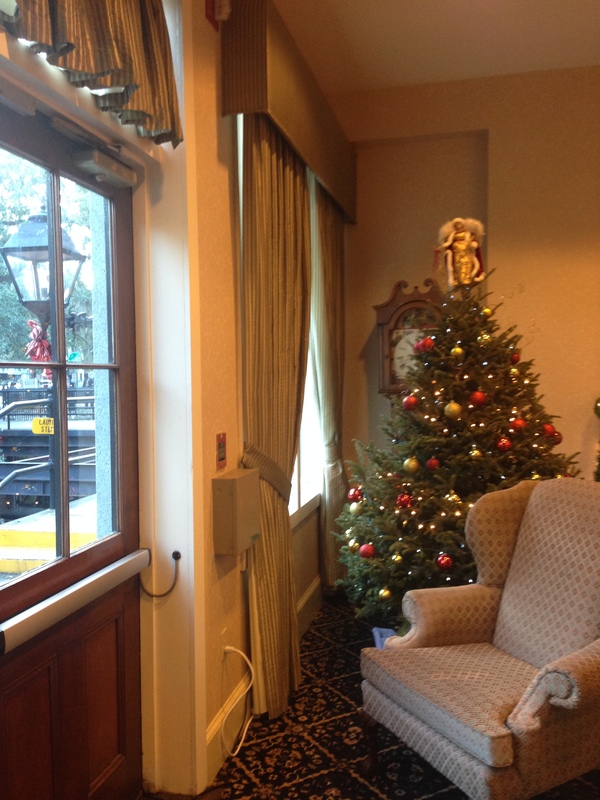 The lobby is on the fourth floor, which is the ground floor on the city side but not on the river side. Our room was on the far side of the hotel,so we had to go down a few hallways, past the main elevator, to a second elevator. Once we found it we were happy; the second elevator was right by our room. 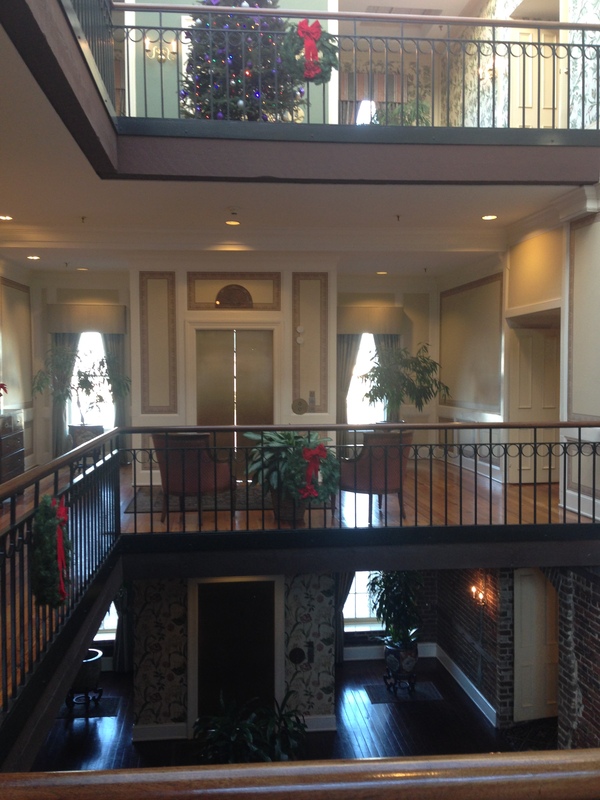 The main elevator and atrium area. It was decorated so beautifully for Christmas! Sitting area on the way to finding the second elevator. 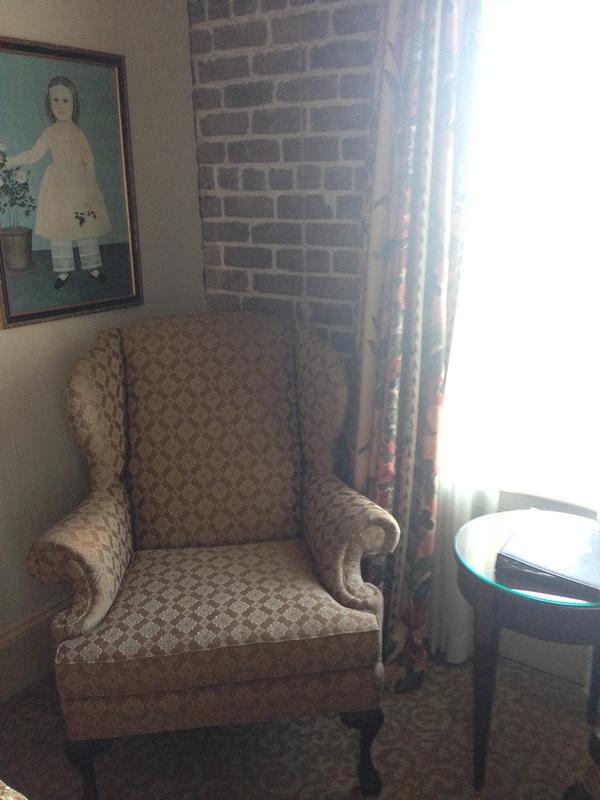 Our room had exposed brick, which I always love. 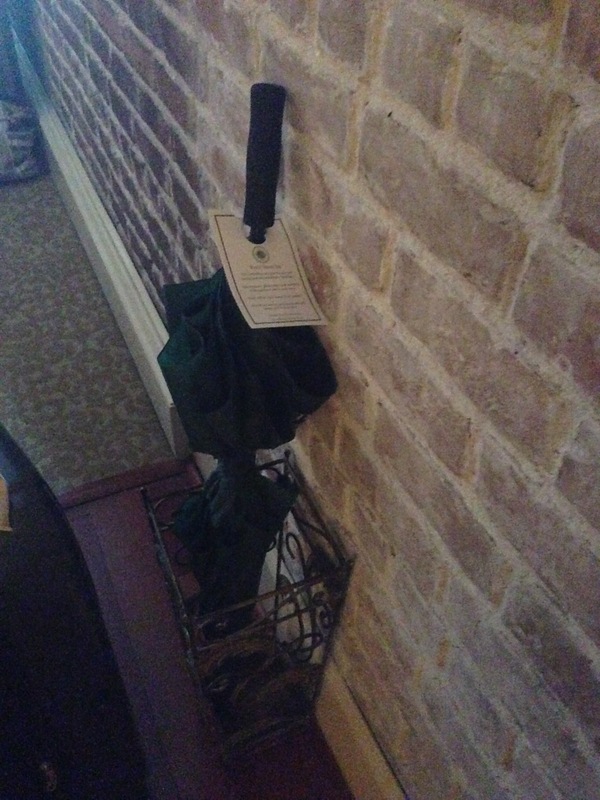 Gorgeous brick wall and a complimentary umbrella to use if it were to rain. Luckily, we didn’t have to use it. Little TV but we weren’t in Savannah to catch up on PBS. Sitting area with a view of the river. Thankfully you could see the beautiful view through the dirty windows. Dingy bathroom. 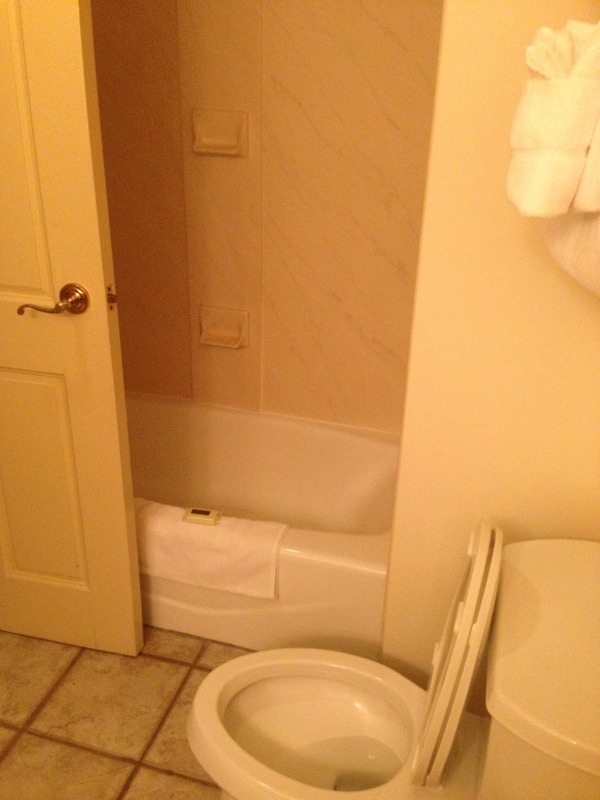 The tub looked like it had mold so I opted to wait for our next destination to take a shower. Good thing we were only there one night. We booked a little late and they only had two queen bed rooms available. So, about those beds. I can think of only one time I slept worse, and that was on a moving train in a twin upper bunk. First, just looking at those “comforters” makes me think of other people’s skin and whatever else might be on them. Everyone knows that this fabric isn’t washed easily and are probably full of germs. We’ve all seen the special on 60 Minutes. Shudder. And it makes the room look like a Motel 6. There was only a sheet under the comforter. So that’s what I slept with. I probably would have cared about being cold if I could have actually slept. But the bed was the most uncomfortable hotel bed I can remember ever sleeping in. It was hard as rock and seemed to almost slant downward at the head of the bed. The pillows were terrible too. We had a few drinks before going to bed and still couldn’t sleep. 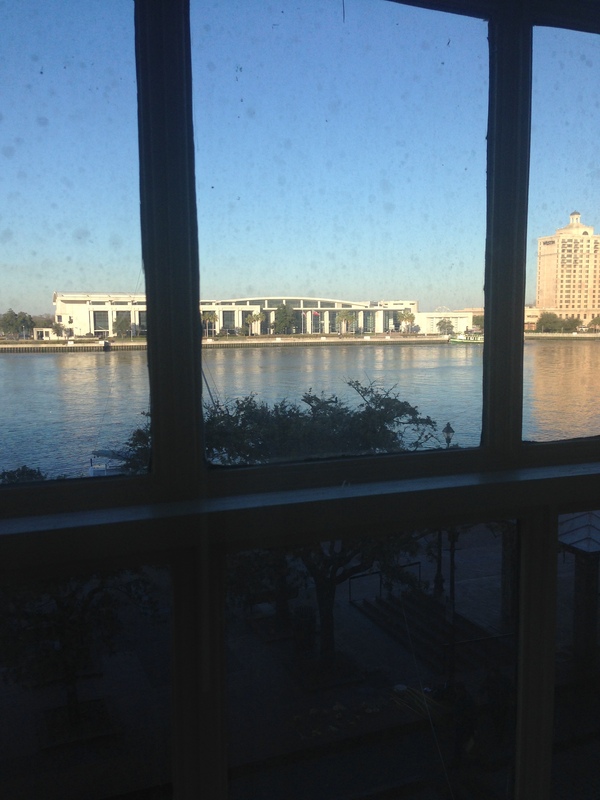 River Street Inn, please please please update your beds and bedding. And while you are updating, please add some usable outlets. Charging my cell phone next to the bathroom sink is less than ideal. It’s nearly 2015 and people want to charge their iPhones, iPads, cameras, and laptops while on vacation. That was not an option here. One the brighter side, they did provide a free bottle of water in the room. And the staff was also super nice. But the best part was the location. Right on the water and next to tons of places to go. We really wanted to try Zunzi’s after seeing it on Adam Richman’s best sandwich in America show and it was right across the street. 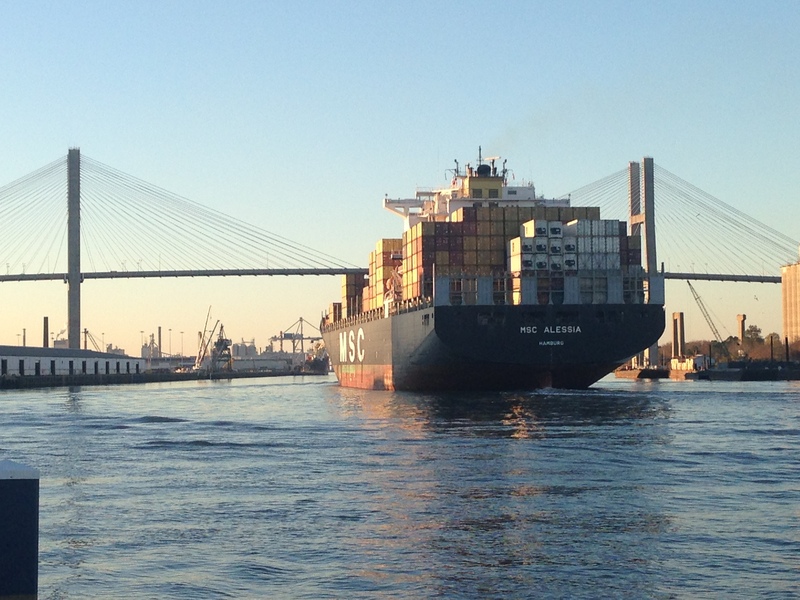 There were microbreweries nearby and we could watch freighters go down the river. Hard to believe it actually fit under the bridge! There were a few hotels nearby and when I go back to Savannah I will probably stay at one of those instead of the River Street Inn. I really like to sleep and I don’t function well after trying to sleep in a terrible bed. 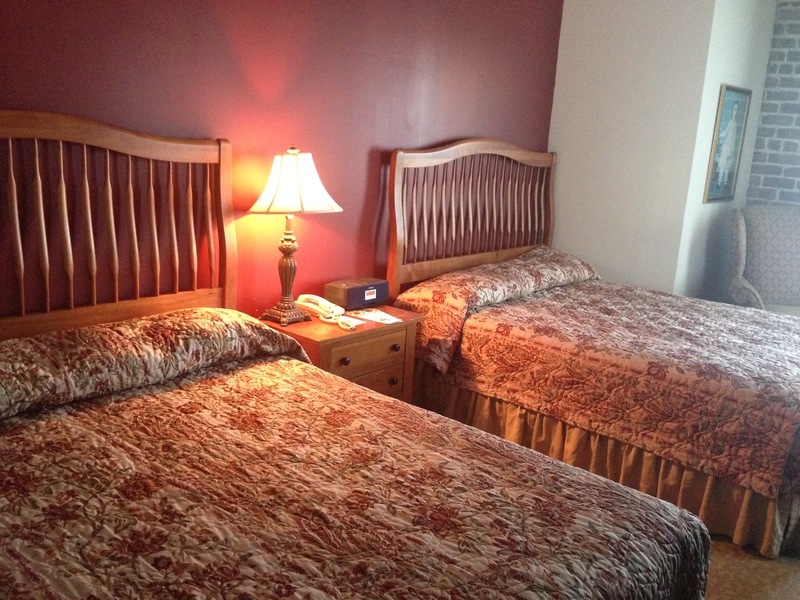 But if the beds were updated and the rooms were cleaned a little better, then I would absolutely stay here again. Thanks! I just read on their website that they are renovating their rooms. I hope this wasn’t one of them!